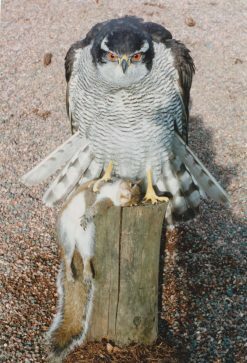 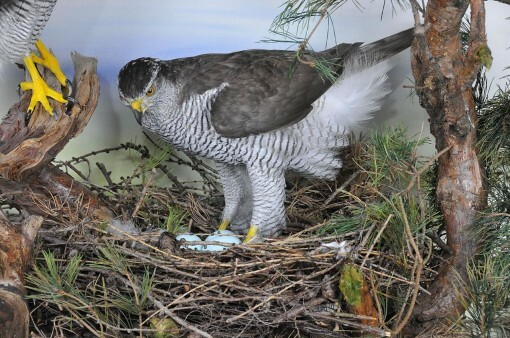 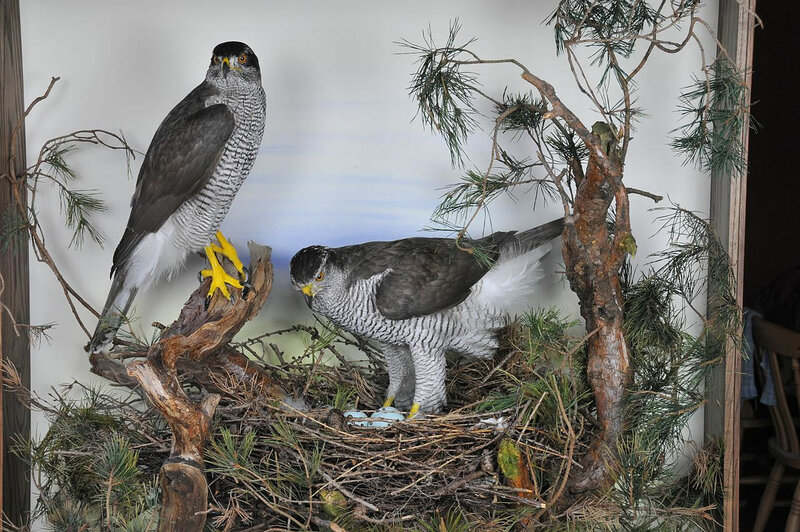 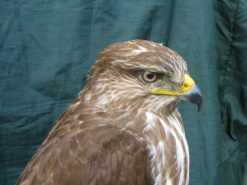 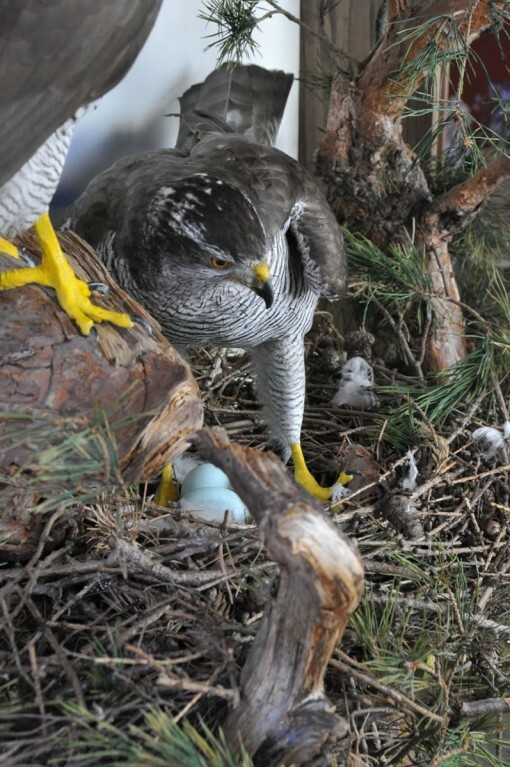 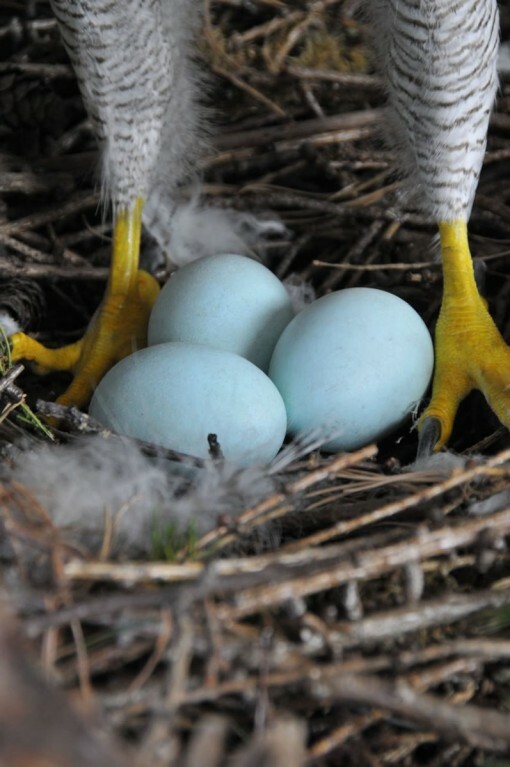 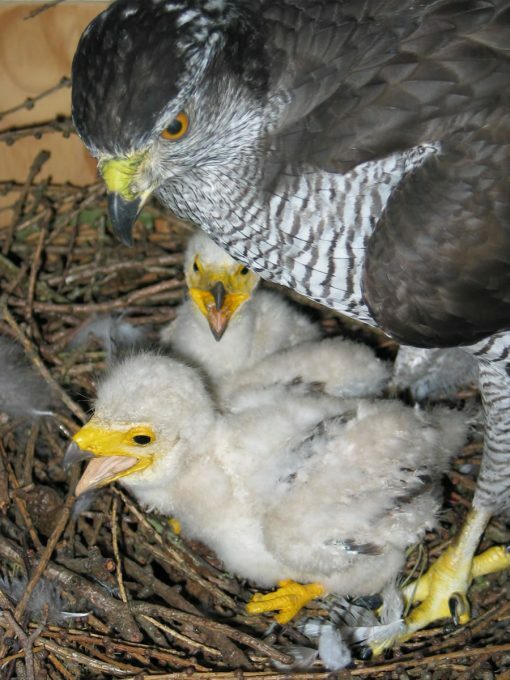 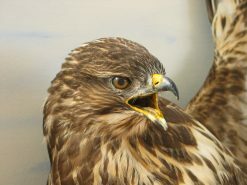 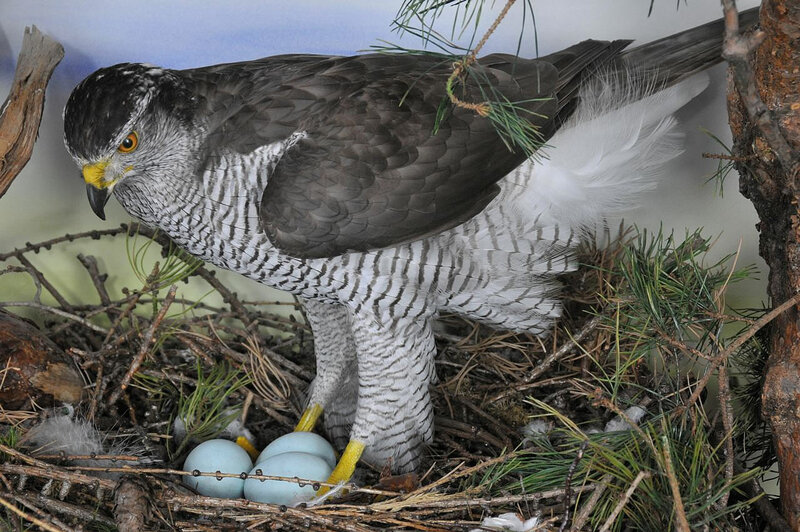 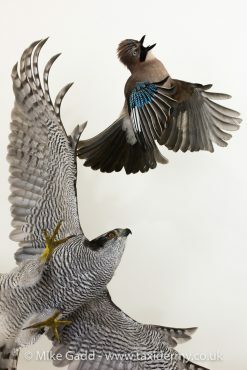 This pair of nesting goshawk’s were a captive breading birds that lived a goof length of time, quite often a captive bird will out live a wild bird. the eggs are reproduction as the laws on egg possession are strict, the captive birds do have infertile eggs but I dare not use them so stick to plaster or resin eggs. 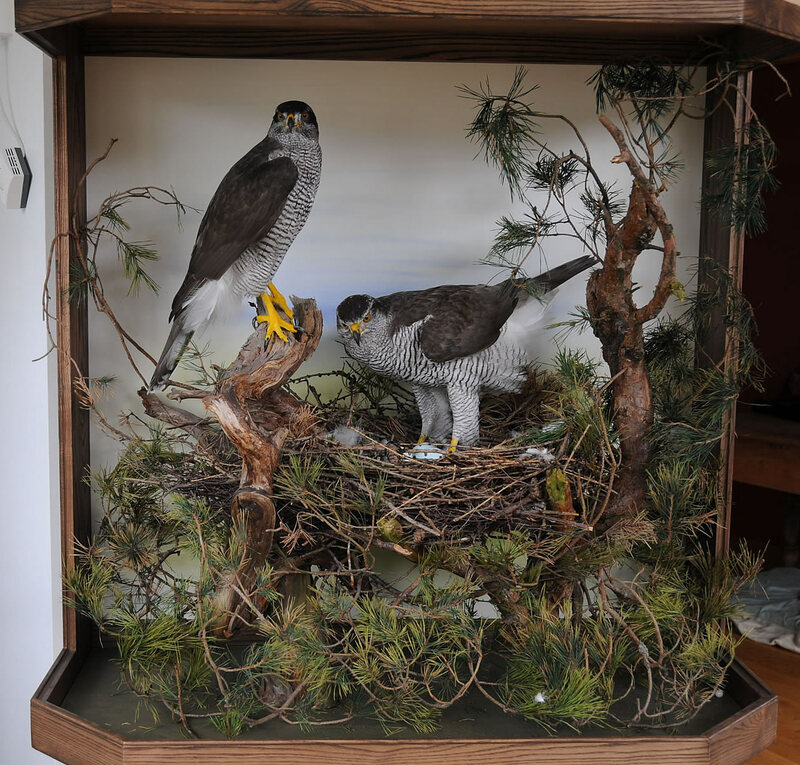 The tree is made up of many different branches invisibly fitted together and pine needles have been preserved and painted. 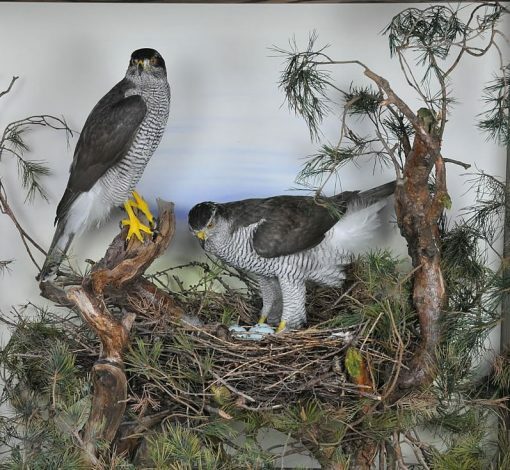 the nest I made using photos of original nests.